Another popular sport for embroidered patches is SCUBA diving. The acronym stands for Self-Contained Underwater Breathing Apparatus, and the underwater diving sport has millions of enthusiasts, many of whom display an embroidered patch with the SCUBA flag, a simple field of red with a diagonal white stripe. Actual SCUBA flags are displayed on a float above the water to alert other boaters that there are divers in the vicinity. The simple graphic has become the universal symbol of the diving fraternity. Divers are eager travelers, willing to travel to the far corners of the globe in search of underwater adventure. Many diving destination promote themselves with embroidered patches proudly proclaiming the names of a diving resort or country where SCUBA is a popular tourist attraction. Divers display embroidered patches from places they have visited, often sewing them on gear or an equipment bag or favorite jacket. Many a diving story-telling session has been initiated by one enthusiast seeing an embroidered patch of a mutually visited site on another diver’s gear. Another outlet for SCUBA diving embroidered patches is from diving gear and equipment manufacturers. Colorful patches are a great and inexpensive way to promote their products. Virtually all of the major diving equipment manufacturers distribute patches, available with a purchase of gear or sold individually. The Professional Association of Diving Instructors (PADI) offers a wide range of diver certification courses, and many graduates showcase their accomplishments with embroidered patches displayed on dive bags and other gear. Even the diving professionals have patches to show which courses they are certified to teach. Various dive specialties are also signified with patches. Learn more about embroidered patches from the Chicago Embroidery Co. at http://www.c-emblem.com or call 312-664-4232 to get information about placing a custom embroidered patch order. 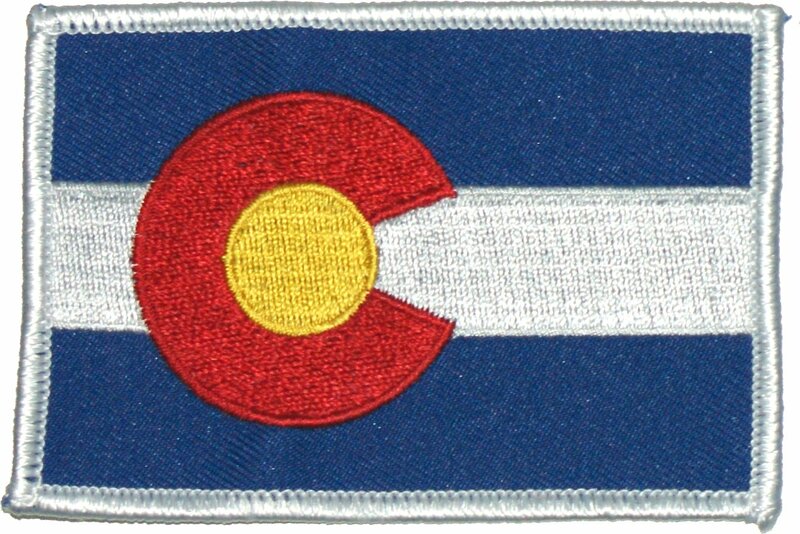 Flags, like this one for the state of Colorado, make popular patch designs. By their very nature, flag images make excellent and popular embroidered patches. The same elements that make a good flag design are readily transferable to the embroidered tapestry. A good flag design (and therefore a good patch design) is simple yet distinctive. Contrasting bands of color, either horizontal or vertical, can stand alone or be used as a background. Reverse color lettering spelling out the name of the state, organization or affiliation works well on a patch. Conversely, a strong, recognizable emblem or logo, atop a contrasting field of color, creates a very striking, visual image for either a flag or an embroidered patch. 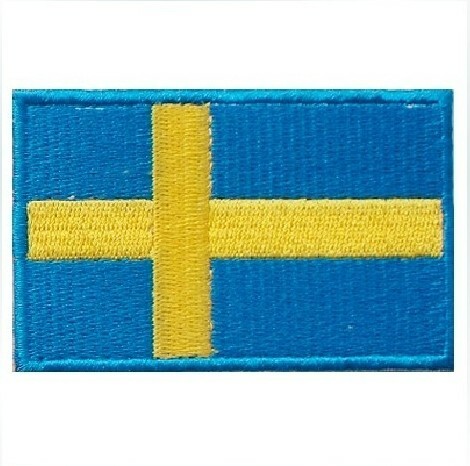 The flag of the country of Sweden creates the country’s blue/yellow colors scheme. Flags of the 194 nations of the world are popular patches, as are the flags of the 50 states of the U.S. There are many variations of the U.S. flag patch, including “rippled” waving flag patches, a “reverse” patch with the field of stars on the right (as a flag waving in a wind would fly if the patch wearer was moving forward). This patch is the “reverse” of the traditional US flag, now worn by American military forces. And even historical flags from the early days of the United States, showing star patterns employed when there were less than 50 states. Other distinctive flags are frequently copied in patch designs. The pirate Jolly Roger skull and crossbones, nautical anchors, red/white diver in the water, and many other flag designs are the basis of popular embroidered patches. 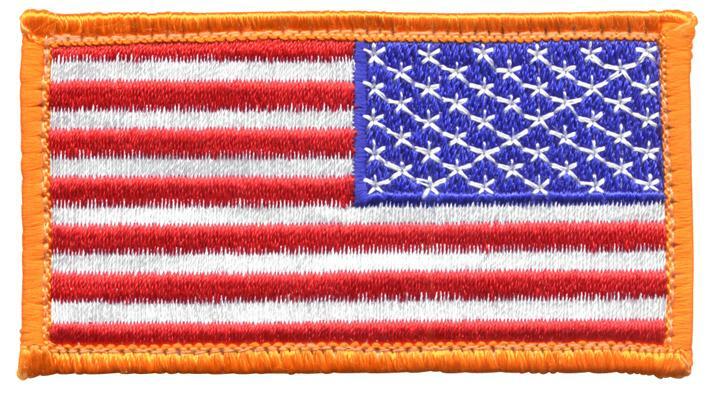 With more than 120 years of experience, the Chicago Embroidery Company has designed and manufactured a wide variety of flag patches for customers. 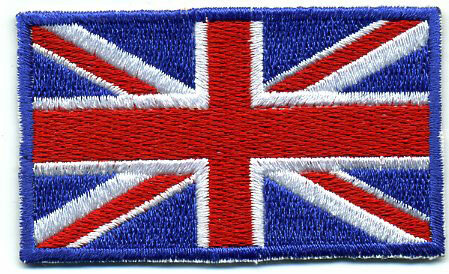 The Union Jack of Great Britain is a popular flag patch. We have made many tens of millions of U.S. flag patches and at one point made over a million flags per year for the National Boy Scouts alone. Learn more about ordering custom embroidered patches at www.c-emblem.com or by calling 312-664-4232.